Drinks and snacks giant PepsiCo has bought Israel's fizzy drink maker SodaStream for $3.2bn (£2.5bn). 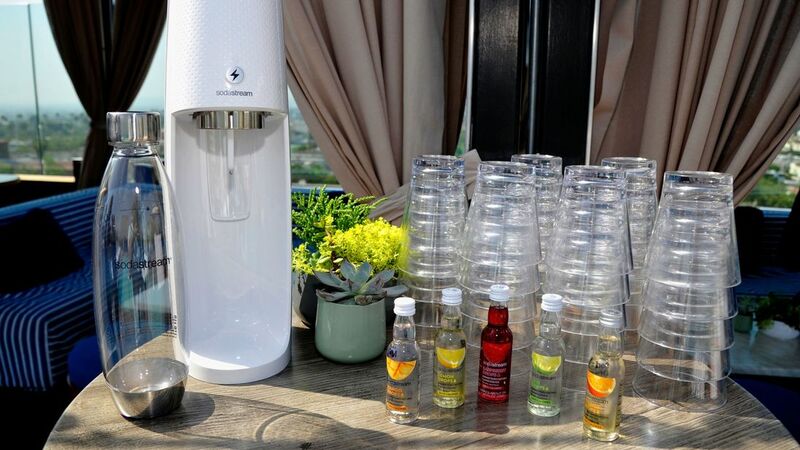 PepsiCo, which owns brands including Tropicana, Walkers and Doritos, said it had agreed to acquire all of SodaStream's outstanding shares at $144 (£112) each. This represents a 32% premium to the 30-day volume weighted average price. PepsiCo chairman and chief executive Indra Nooyi described the companies as "an inspired match". She said SodaStream's products, which are marketed as a healthy alternative to sugary drinks, fit in with the US firm's goal of "making more nutritious products while limiting our environmental footprint". "Together, we can advance our shared vision of a healthier, more sustainable planet," she added.